Time and attendance management systems have been around for decades to track and calculate employee’s work hours. The methods of data collection differ over the years, some more advanced than the others. Punch card was widely popular in the 90s and in the millennium, smart card and biometrics time attendance system has become the systems of choice for their distinctiveness and effectiveness. Even though the demands for time and attendance system have increased as time goes by, the significance of this system is not fully understood and explored by many corporations due to a lack of understanding about the system’s full potential. What more could a time attendance system do other than collecting the total working hours of a staff? There’s more than meets the eye when we talk about time and attendance systems. From the surface, the system collects the check-in and check-out times of an employee for monitoring and perhaps linking the data for payroll purposes. 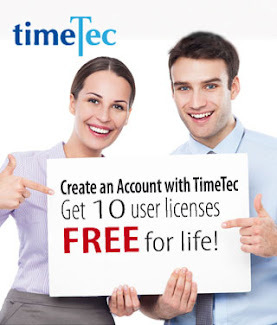 Time theft could be eradicated easily when a good time attendance system is implemented. However, if one takes a delves deeper into what this system offers, it covers a more important part of managing a company’s resources such as automation, staff scheduling, project costing, resource assignment, real-time visibility, crucial calculations of productivity and so much more. A time attendance system should be able to provide a company with features and functions that can effectively manage the resources with its various settings, calculations and reports. Don’t settle for a simple time and attendance system because as your company grows, your requirements will inevitably increase in terms of resource management. Previously time attendance was easy, why has automation now become an integral part of business when the staff’s time can be easily calculated manually? Businesses are moving from conventional time attendance systems to time attendance software because the software provides more features and functions to better productivity and improve resource management. The compilation of data is just one part of the time attendance system but more importantly, what can a company do with the data collected, how would the data be interpreted and how can the data benefit the company are the big questions. Automation definitely provides accuracy and less human errors besides saving a lot of resources and time when compared to the conventional time attendance system. On top of all that, time attendance systems must be able to provide a holistic view of human resources management to assess its ROI. By having an automated system, reports such as Tardiness report, Overtime report, Leave and holiday report can be generated instantly for the company to assess and remedy if required. Holidays can be set easily and every leave taken can be managed effectively as not to disrupt any company operations due to insufficient availability of company resources. How effectively can time attendance systems manage resources? By assigning the right staff to the right tasks with proper scheduling prior to its implementation, a company can optimize its resources and thrive. Do not underestimate the importance of staff scheduling because one absent staff or an overlapped staff schedule could interrupt an operation significantly and cost a company a lot of money. A time attendance software can be utilized to control and regulate the amount of time required from the staff versus costs without breaking any laws. By having a scheduling system up and running while connected to the attendance and payroll system will give a company the upper hand in managing its resources. Work time and wages calculations are automated in the software, providing a company ways to manage cost and increase efficiency at all times. 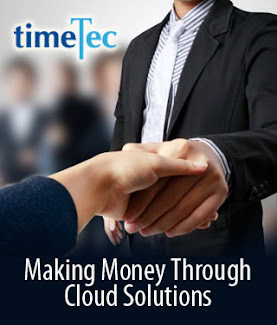 What is the cost effectiveness of a Time Attendance System implementation? Human Resource is certainly not a cheap investment and each staff is expected to contribute to the company in the best way possible. With a Time Attendance System, time equals dollars and cents to every worker and their time could be optimized with proper attendance and scheduling. Check out how much your company could save using the ROI calculator https://www.timeteccloud.com/roi_calculator. By investing smartly in a Time and Attendance System, a company can effectively boost employee productivity and better harness the power and potential of their human resources while saving a lot of money in the process. Time and Attendance System is much more important than many companies care to admit because it controls the most expensive cost of your company that is human resource. To implement a good Time Attendance System, the system must have features and functions that go beyond tracking staff check-in and check-out during working hours but must also be able to provide a clear picture of staff activities and behavioral patterns when it comes to utilizing company’s time and the system must provide transparency and accessibility as well as a good ROI to the company.